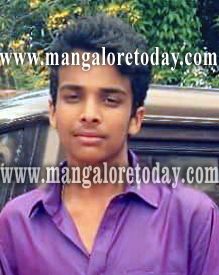 Udupi, June 27, 2015: In a tragic case, 17 year old Mohit Shetty of Pethri has reportedly committed suicide by hanging himself at his home on June 26, Friday. It has been learnt that failure in exam has driven him to the extreme step. Mohit who was the son of Balakrishna Shetty was a first PUC student of SMS College, Brahmavar. Sources said Rohit who had failed in I PUC exams had told his family that he had passed. However, the parents who were told to come to the college the next day came to know about his failure. Meanwhile, Mohit who feared reprimand from his parents committed suicide.